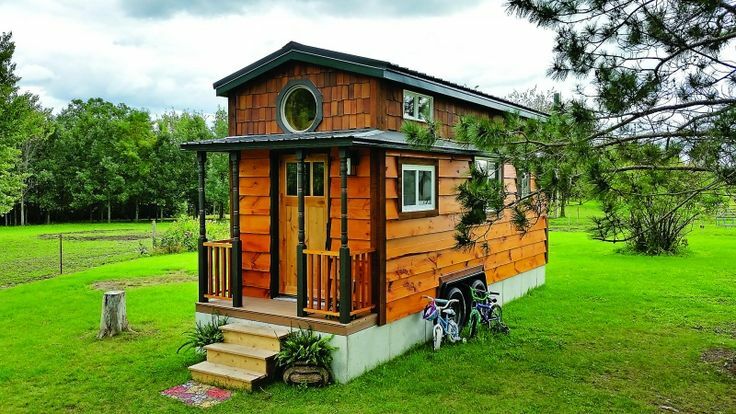 Tiny homes have been making big statements in the past few years. As our world becomes smaller and more expensive, many buyers are looking for opportunities to live more fulfilling lives with less waste. 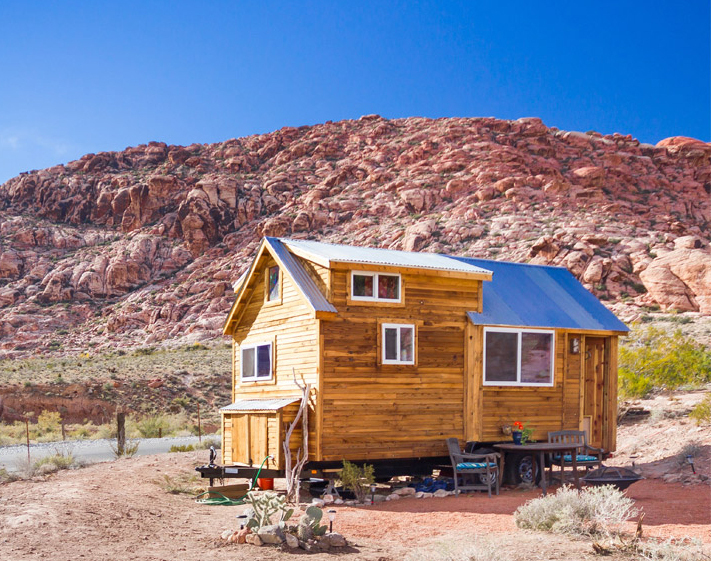 Tiny houses embrace all the beautiful architectural integrity of full-sized homes; yet most of these small structures waste less space and cost much less than a regular house. Since a small house design needs to maximize space, decorators and designers need consider space-saving options. Some home decor techniques used in these homes include built-in cabinets, shelves and storage. Many of these built-ins also double as room dividers. This allows light to flow through the house, yet the inhabitants still have separate living spaces. Lofted rooms are also often used. Instead of building the house out, designers built the house up. Inhabitants can acceshttps://homebnc.com/homeimg/2016/01/tiny-houses-share-pinterest-homebnc.jpgs bedrooms and living rooms via ladders, stairs or laddered shelves. Many designers use other small-space solutions like sofa beds and murphy beds to maximize space. 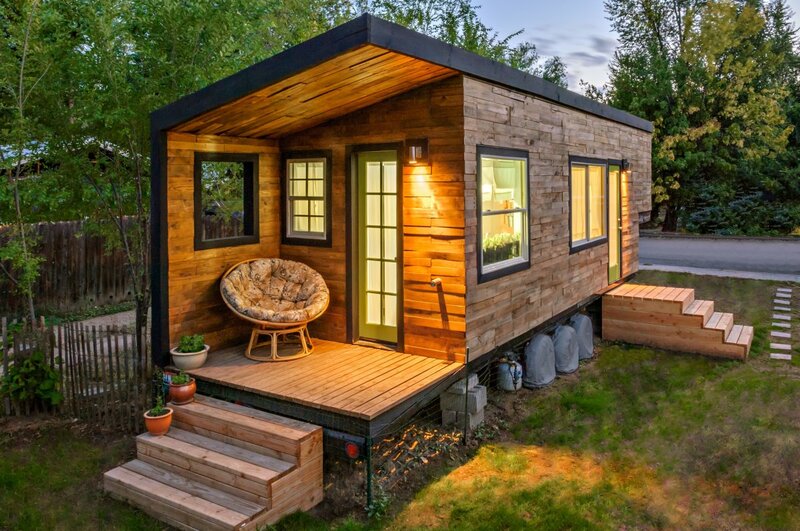 Save Space and Money with a Tiny Home! After Hurricane Sandy hit the Eastern seaboard in 2012, many people found themselves displaced all over the country. Hurricane Irene had already devastated the area the year before. Just as residents had finished rebuilding their homes and lives from the storm in 2011, Hurricane Sandy wiped out everything they had rebuilt. Unable to pour either time nor money into their homes, many people began looking to alternative housing opportunities. 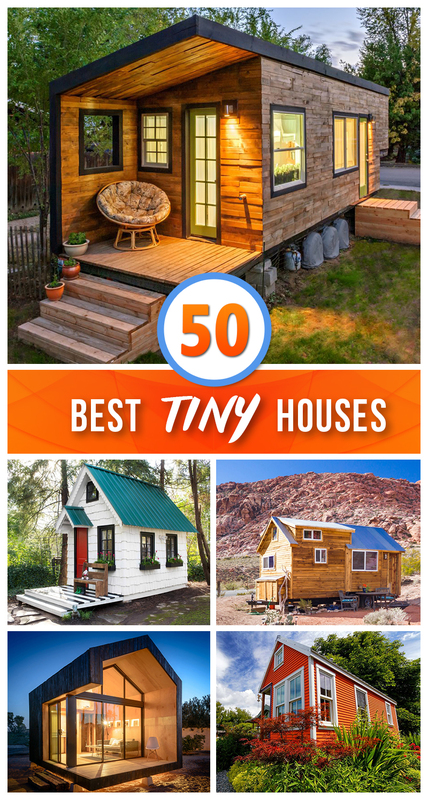 Enter tiny homes. Many of these small versions of large houses cost less than a used car. 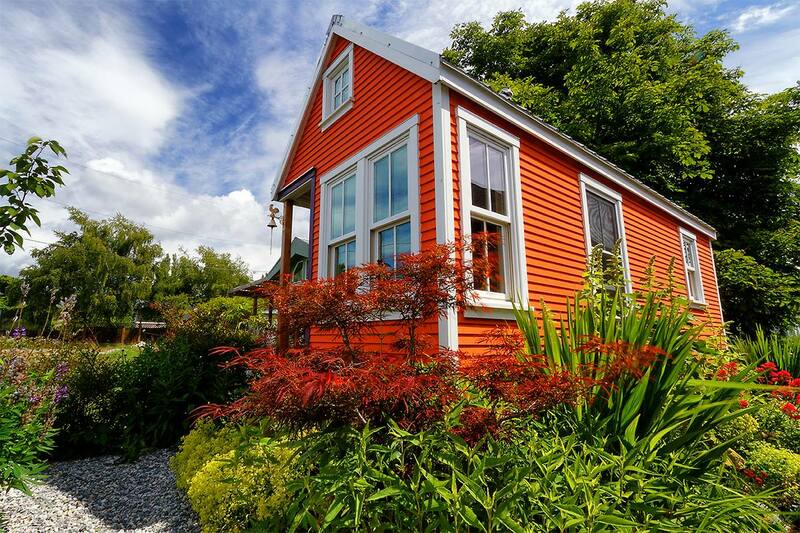 Some of the least inexpensive small house designs cost as little as $8,000. 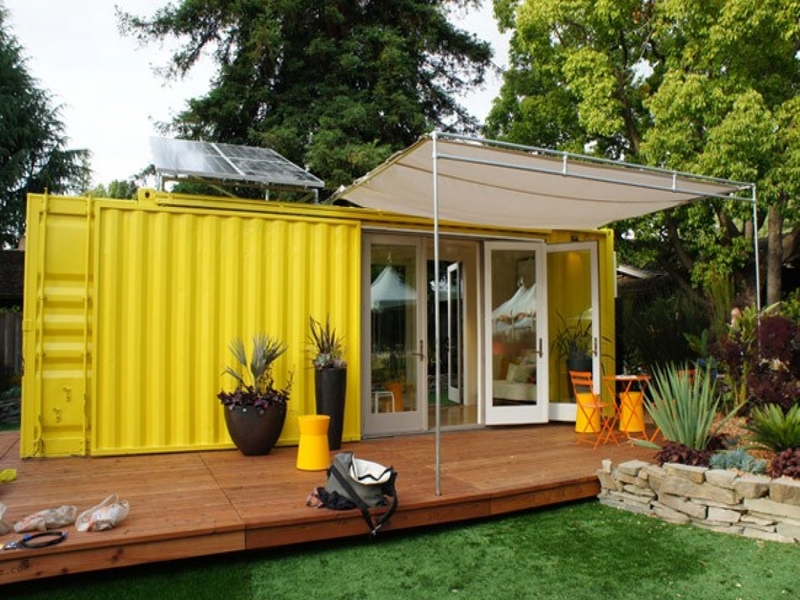 These small abodes were the perfect solutions to such a large problem. Many displaced residents were able to rebuild their lives at a fraction of the price. Many little houses make use of recycled materials, like old shipping containers, driftwood, cinder blocks, scrap metal and reclaimed items. Most of these homes also utilize outdoor spaces. Instead of eating dinner inside all the time, why not eat on a beautiful porch under the stars? Why not enjoy the company of family and friends in an outdoor living room? Other unique small house designs incorporated into little homes include vegetable and herb gardens, compost areas, fireplaces, stairs and creative enclosed porches. Home décor is always considered in these homes, and they are always as attractive as they are functional. The following is a list of some of our favorite designs on the market. 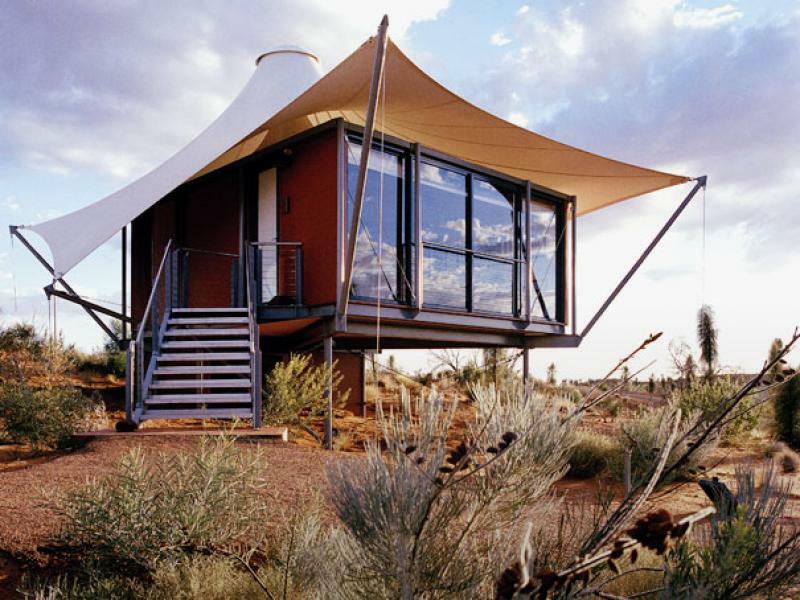 When you’re craving a little R&R in the desert, hitch up your house and go! This house was made of all-natural materials. This house boasts plenty of bang for its buck. The small kitchen has plenty of counter space and a double-burner range. Built-in shelves keep laundry, books and belongings organized at all times. The living room fits a three-person couch and café table. The bedroom is lofted above the kitchen has even has enough space for a queen-sized bed. On clear nights and cool days, there’s plenty of space outdoors for dining al fresco. Anne of Green Gables would have loved this romantic cottage. A porch wraps around two sides of the house and has enough room for chairs, a dining table and a workspace. The eaves hang low over the porch, so you can enjoy the great outdoors—even on raining days. Inside, there’s plenty of space for a country-style kitchen, sitting room and bedroom. A woodstove keeps everyone warm on chilly days and early autumn evenings. This home cost designer Macy Miller only $11,000! Since she designed and built the home herself, she had the opportunity to customize the home to her needs. The home is large enough for a small sitting room, kitchen, bath, master bedroom and small kid’s room. The exterior boasts a small garden underneath the home, a small porch (large enough for one Papasan chair) and a large overhang to keep everyone safe from the elements. This bright home is embraced by the surrounding garden. The house is so colorful it could almost be confused for one of the nearby flowers. Clocking in at only 160-square feet, the house takes advantage of steep eaves for added storage and loft areas. Built-in shelves provide storage and act as room dividers. The small stove keeps the house toasty all year long. The kitchen has plenty of space for a small refrigerator and washing machine while the bathroom has a stand-up shower and shallow tub. Cube storage keeps toiletries and beauty products organized and off sparse countertops. This house is definitely small—yet it welcomes the entire ocean into its view. With windows covering two walls, this home allows inhabitants to feel as though they are outside all the time. This home comes in a variety of models that can be customized to fit the owner’s needs. Want more privacy? The home comes with plenty of options to keep large windows covered. It can even come with fireplaces and built-in cabinetry. The main living area can be converted into a bedroom with the murphy bed add-ons options. Packing up the family and heading to the beach has never been so easy. 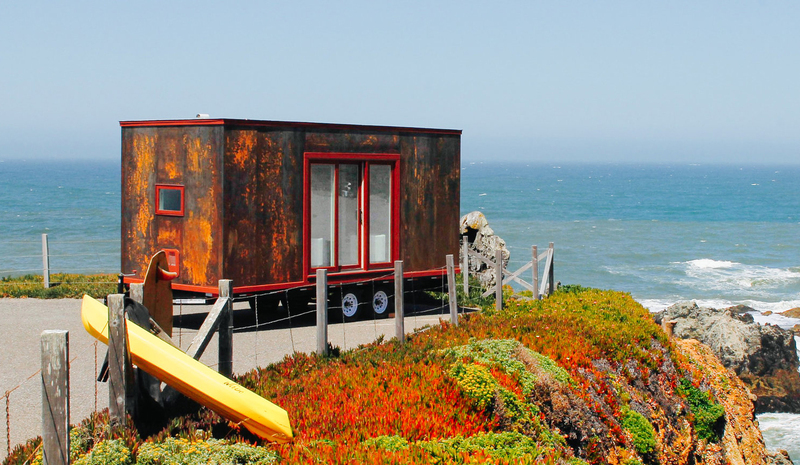 Tiny houses on wheels can travel from shore to shore. The exterior home decoration includes paneling that has been treated to look “rusted”. The red trim on doors and windows complement the exterior paneling. The inside has been painted white to make the interior space appear larger. The interior living quarters include a living room, small kitchen and small bedroom. Strive to reach great heights in this home. 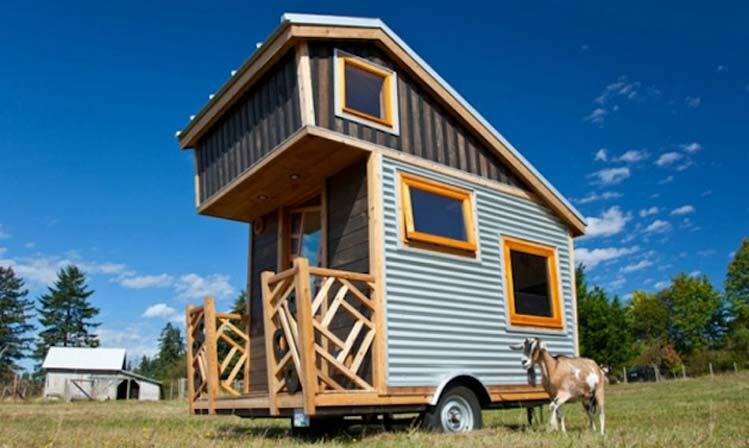 Tiny houses on wheels can be attached to a truck or flatbed for easy moving. The steep eaves allow for extra storage and sleep space in upper levels. Large windows and a large glass door let in plenty of light. The front porch can fit two chairs, and the porch’s railings were carved to look like they came from a mountain cabin in the woods. The interior features a small kitchen with mini fridge and sink. There’s plenty of storage with tons of laddered shelves and a collapsible breakfast table. 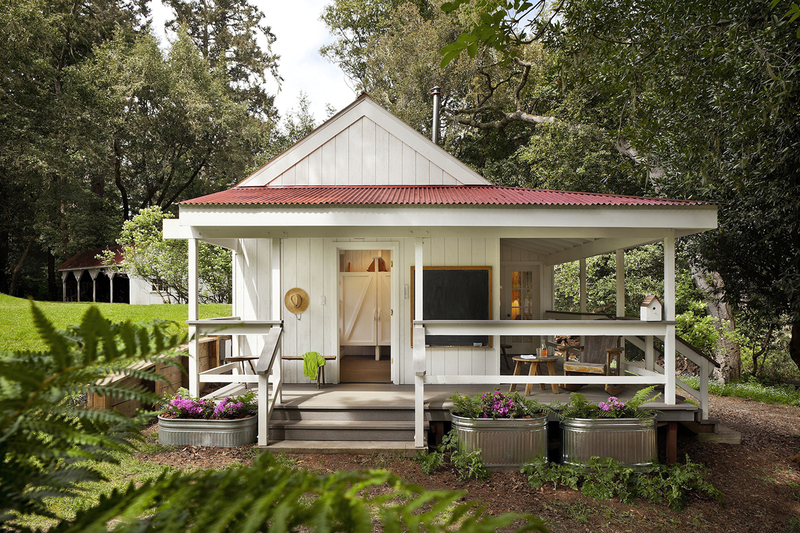 This home isn’t just adorable—it’s also socially responsible. 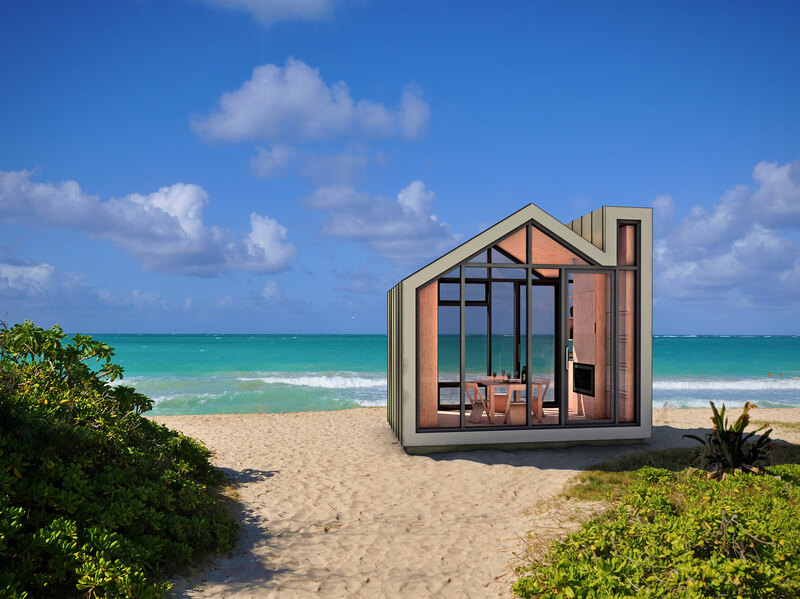 Made of an old shipping container, this small house is giving a shipping vestibule a second life. Clocking in at only 192-square feet, the Nomad 192 is small but feisty. Solar panels on the roof keep the space well-lit all year long. Glass doors open on two sides of the home to invite in the great outdoors during warmer months. The awning is made of natural materials and offers plenty of shade in the summer. The porch is large enough for a large dining table or even an outdoor living room. 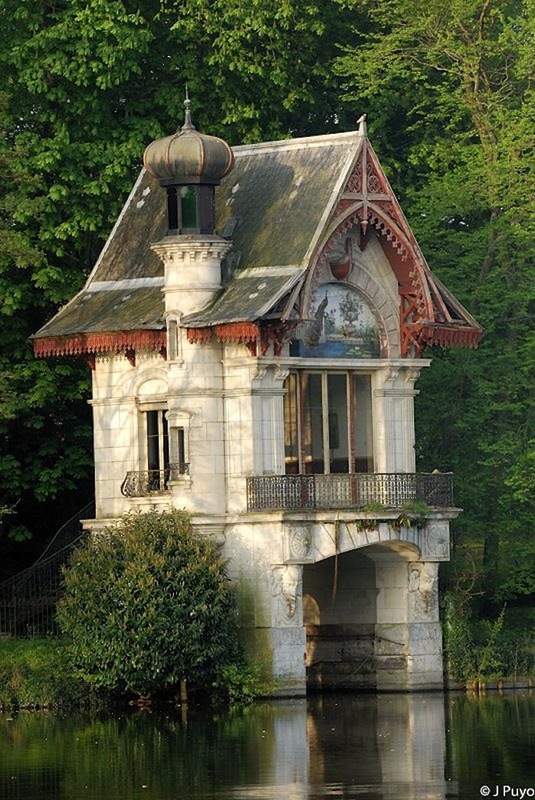 Some small homes look so airy they almost look like they could sprout wings and fly. This tiny abode is definitely small; yet the windows that stretch from floor to ceiling give the illusion that the entire desert is a part of the home. The dwelling itself is a simple square box—though the joy in this one lies in the canvas awning that spreads its wings over windows and doors. The home is on stilts to deter water damage or pests. A small set of simple stairs lead up to the front door. This 850-square foot castle is perfect for the prince or princess who can’t decide whether to live inland or near the sea. The exterior walls are covered in weathered gray shingles. The red accent beams pop next to the muted grays. The steep-gabled awning over the front door looks like it was ripped straight from the pages of “The Hobbit”. Inside, there’s a full kitchen with modern stainless steel appliances. The living room might be compact, but it utilizes all available space. The TV is mounted high on the wall to ensure there’s not a bad seat in the house. The master bedroom is big enough to hold a queen bed and has its own private balcony. An adjacent kids’ room in the tower has enough space to fit a bunk bed. This house has all the unique design characteristics of a large house—without the wasted space. The lofted bedroom makes use of all available space since the eaves aren’t too steep. The round and square windows let in plenty of light and give the home some added charm. The front porch is covered to protect inhabitants from the elements and is just large enough to fit two people. The natural home decoration materials pop against the massive green lawn, and the green trim adds an earthy touch. The living area has ample room for a small sitting room, kitchen and bathroom. Though the home is reminiscent of the Pacific Northwest, it would fit in nearly any landscape. Though this seaside home is made of modern materials in a contemporary design, it blends in perfectly with its surroundings. Windows on every wall allow in plenty of natural light and embrace the sea. The cement chimney leads straight to a wood burning fireplace. The large porch is the perfect place to sit and see if you can spot whales or other creatures of the sea. The home fits in seamlessly with the nearby swamps and marshes. This house is perfect for those who crave to commune with nature. Who said a seaside cottage should have a huge price tag? 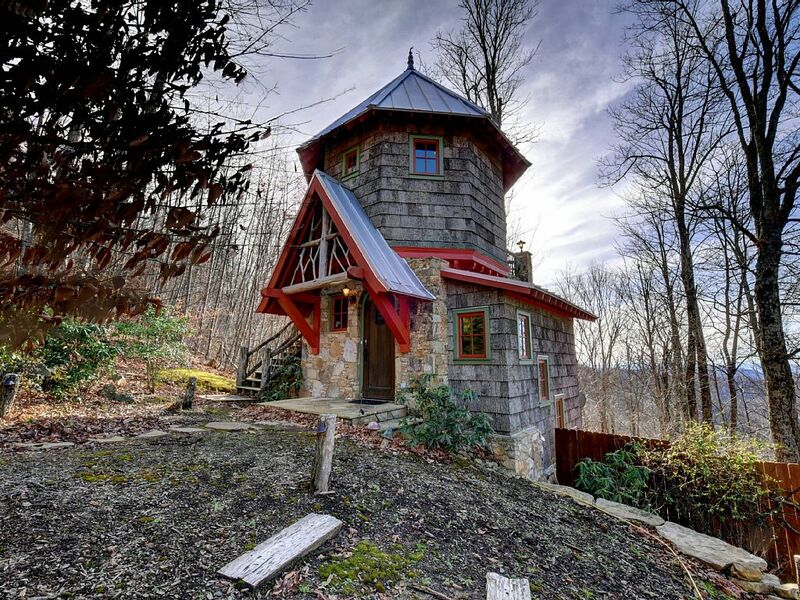 This Ruskinian Gothic tower might have been ripped from the pages of “Rapunzel”. Yet this tower isn’t as tricky to climb. 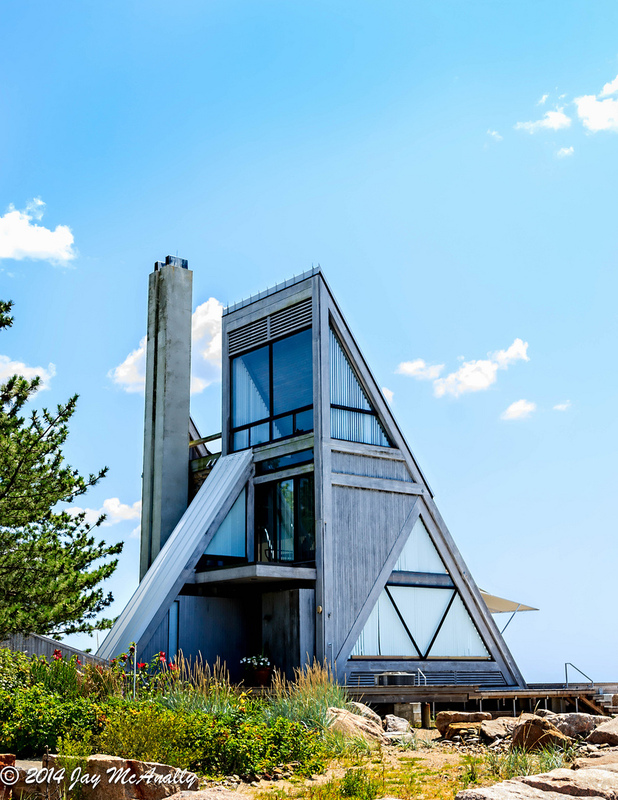 Situated on a local river, the tower has access through the boat slip on the bottom floor. Climb into the intimate tower, curl up and read a book. The top floor bedroom also has access to a romantic balcony. You won’t be able to resist sitting on the terrace at night and dreaming of your prince. The wrought iron handrails mimic the curve of the tower roof and the slope of the sides of the house. Pump up the volume with nearly twin homes. 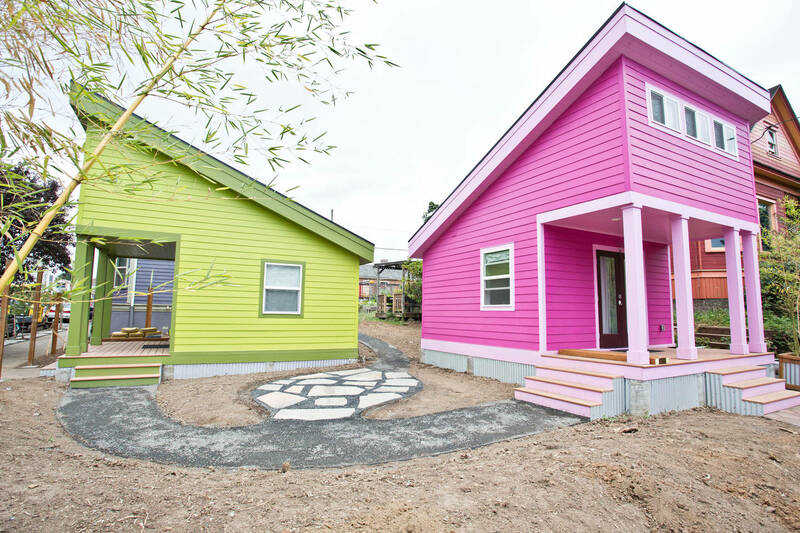 These matching mini houses are exactly the same—except for the colors. The entryway doubles as a living room and bedroom. A murphy bed swings down by night and folds up for extra sitting space by day. The porch is perfect for quiet contemplation. This home also comes with a mini kitchen, air conditioning and a large bathroom with stand-up shower. The home also has an upstairs area. Floors are made with bamboo planks and reclaimed wood. This home seamlessly blends modern amenities with cozy spaces.